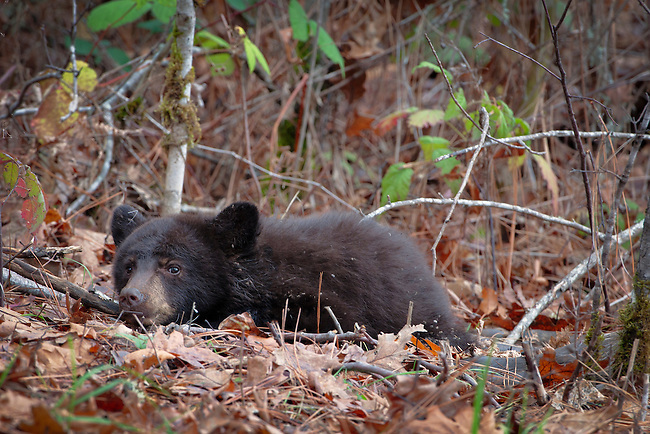 This baby black bear was orphaned but was lucky to find a deer carcass to eat. A wildlife rescue group was willing to take the baby in, but the Oregon Fish & Wildlife would not give them permission. Once the carcass was gone, the baby moved on.